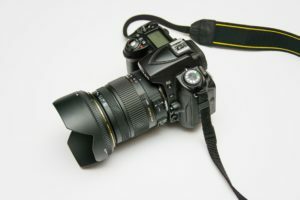 Great digital photography is an invaluable tool that supports dentists in communicating their work to those they interact with daily. These people can include outside organizations like the dental lab, team members, current patients, and new patients. What people actually hear through a dentist’s verbal explanations may be very minor versus what they can glean from a relevant image that is utilized in conjunction with spoken information. Retention will also be significantly improved. Dentistry is a complex subject that is easier for a layperson to understand visually. The average patient will not be able to fully grasp a treatment plan without use of clear imagery. On top of this, dental digital photography develops trust, ensures greater transparency, and provides an avenue for connecting with patients more effectively. If patients can glean the cause and effect of your dental treatment intervention through photography, they will get a much better sense of the value you offer. Effective communication with new or prospective patients is a huge plus of dental photography. As a marketing tool, it provides a window into your cosmetic results. Great photography is so convincing that it can mean the difference between a patient calling in for an appointment or not. Excellent dental images enable you to do more of the work you love, which is caring for people through dental services. For a quick and easy way to elevate your photography, consider face composition. The orientation should be horizontal with a full face shot. Center the patient’s nose in the picture, with their chin close to the lower border and the top of their head by the top. You shouldn’t be able to view their shoulders but their head should be fully visible. Do you have any creative tips for marketing your dental work? We’d love to know what you think!